With the Eagles down by two (46-44) and less than three seconds remaining against the Decatur Eagles, Decatur’s head coach Drew Coffman received a technical foul for throwing down his clipboard after a what he believed was an unjust foul giving Argyle a chance to regain control. Argyle junior Jackson Maupin was put on the line for two shots to potentially tie the game with a chance to gain the lead. Maupin nailed the first one, missed the second, giving the Eagles 2.4 seconds to score for the win. Senior Max Valentino inbounded the ball to fellow senior Brandon White when Decatur’s Izek Chavana caused White to lose control of the ball as the clock expired. The Argyle Eagles left with their first district loss of the year by a score of 46-45 on Tuesday, Jan. 22 at Argyle High School. The Eagles fell to 21-8, as Decatur continued their impressive season with win number 25 (25-3) as we inch closer and closer to playoff basketball. While it didn’t pay off, Max Valentino had his best game of the new year, scoring 22 points, followed by Jackson Maupin, tallied 10 points, and Brandon White with eight. For Decatur, it was a team effort having four players lead the team with eight points (Izek Chavana, Ethan Southard, Gage Rieger, Grayson Harris), Wilson Hicks chipped in six, and Triston Read contributed two points. 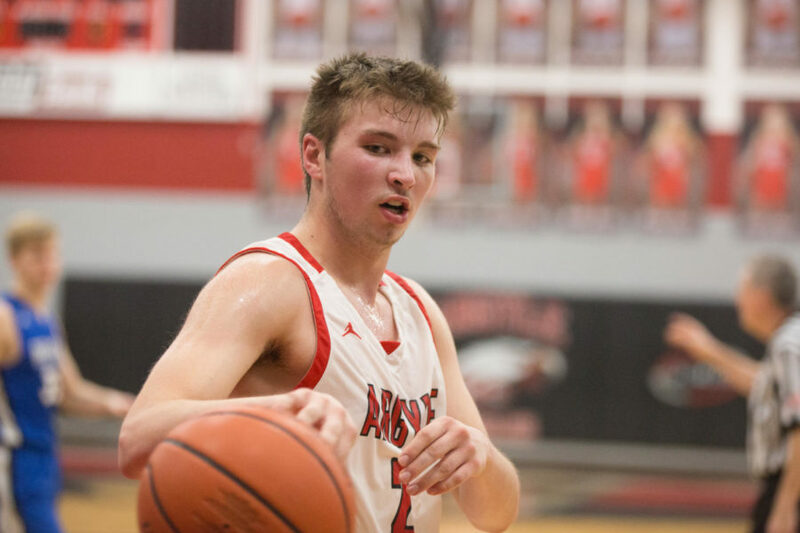 The Argyle Eagles will try to get a bounce-back win against the 12-14 Bridgeport Bulls, on Tuesday, Jan. 22, at Argyle High School. Tip-off is at 8:00 P.M.